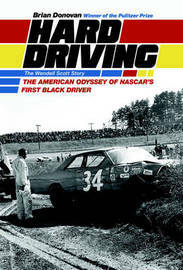 Hard Driving is the dramatic story of one man's dogged determination to live the life he loved, and to compete, despite daunting obstacles, at the highest level of his sport.Wendell Scott figured he was signing up for trouble when he became nascar's version of Jackie Robinson in the segregated 1950s. Some speedways refused to let him race. And after a bigoted promoter refused to pay him, Scott appealed directly to the sport's founder, nascar czar Bill France Sr.France made a promise Scott would never forget - that nascar would never treat him with prejudice.